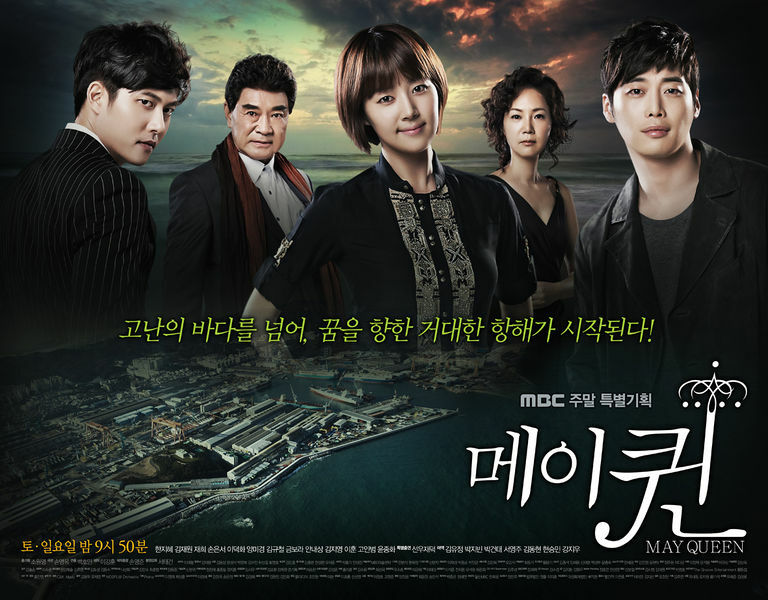 Summary : Han Ji Hye, Kim Jae Won and Jae Hee star in the 2012 MBC drama May Queen, a melodrama set in the turbulent world of the shipbuilding industry. Han Ji Hye is Hae Joo, a straight-talking, hardworking young woman who was raised in a poor family. Though she never graduated high school, she is skilled in welding and ship design and hopes to prove herself. Years ago, the birth father she never knew was betrayed and killed by shipbuilding tycoon Jang (Lee Duk Hwa). Jae Hee is Hae Joo's first love Chang Hee, an inscrutable prosecutor who grew up under the thumb of Jang's family. 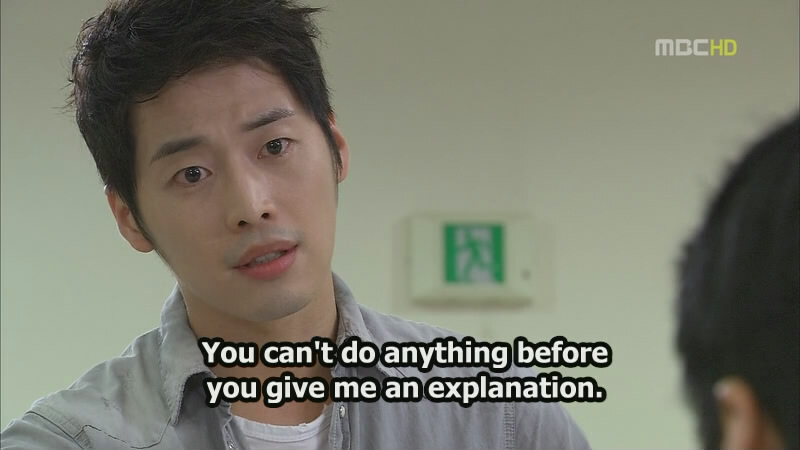 Kim Jae Won is Hae Joo's childhood friend Kang San, a flippant engineer who vows to recover his grandfather's shipyard from Jang. The best of friends in their childhood, as adults the three are driven inexorably together and apart by the lies of their parents' generation and the struggle for truth and reckoning. Caught between two men of great ambition, Hae Joo strives to rise above the circumstances and find her own path to love and success. 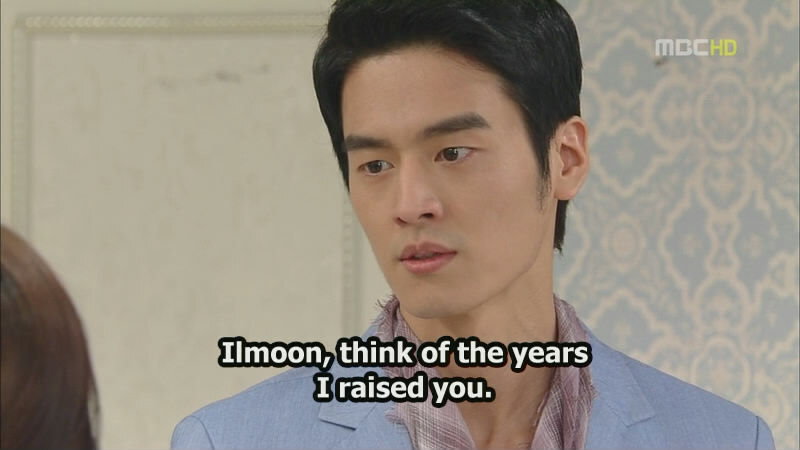 Besides the top-caliber adult cast, May Queen is notable for the presence of four of Korea's top child stars - Kim Yoo Jung (Moon That Embraces the Sun), Park Ji Bin (Incarnation of Money), Park Gun Tae (Warrior Baek Dong Soo) and Seo Young Joo (Can You Hear My Heart) - in the early episodes of the protagonists' childhood. Son Eun Seo, Yang Mi Kyung, Yoon Jong Hwa, Ahn Nae Sang, Kim Kyu Chul and Lee Duk Hwa also co-star in the series.